Happy Thanksgiving to everyone. Thanksgiving is about family time but there is another side of it. Thanksgiving is also about Shopping with lots of deals and discounts typically called as Black Friday Deals. Whether it is Target, Walmart, Jcpenney, Macys or any other shop, they all give huge discounts to attract customers at this time. I am sure you guys are also planning to shop and take advantage of good deals. 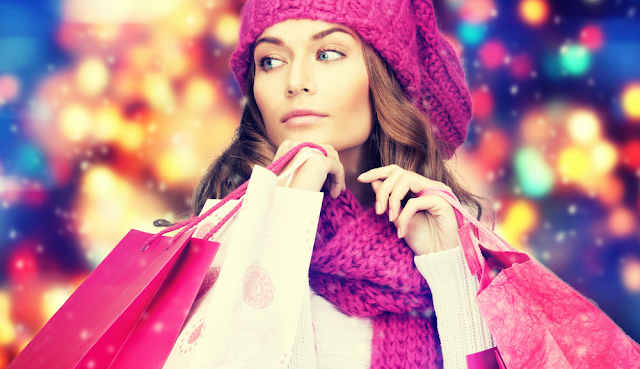 However do prepare yourself before shopping with our top Black Friday Shopping Tips. First and foremost you should know before what you need to buy. Have a wish list handy otherwise you may end up buying things which you didn't require and may forgot some of the wish list items. Black Friday Deals are definitely a good one in terms of discounts but decide on your budget first before you start to buy. For e.g if you $1000 to spend in shopping you can put $400 for Electronics, $300 for Makeup and remaining for Clothes and miscellaneous items. Start checking the prices of the items which you want to buy on the sites few days before BlackFriday Discount Day. Retailers keep on switching the price up and down so you don't want to miss the right day to buy the item. One Golden Rule get any discount from wherever you can get. Use Cashback sites like Ebates and BeFrugal as during the special days they even give you extra cash back upto 15% on top of all your discounts and all you have to do is just go to any website from their link. Do try it I am sure you will not regret it. Some stores and online sites sell final sale items on very low price. Make sure you buy them only when you are more than 100% sure as those cannot be returned or exchanged in future. Many websites gives you extra 10-20% discount if you sign up for emails subscriptions. This is the right time to enter your email and bag an extra discount along with the Black Friday Prices. I prefer shopping Online but going in Stores on Black Friday and Thanksgiving is also fun. However make sure you are in your comfortables as the shopping queues might take a little long during these days. The more the Merrier. If possible avoid shopping alone and go with friends and family. This way you will enjoy the shopping more and can fetch the early Store deals too. You might end up spending lot of time in Stores and Mall and you will not be leaving your place in line during Shopping so have some extra packet of snacks with you. Believe me you will need a lot of energy that day. I hope you guys will try this tips during this Black Friday Shopping Event. As this is the biggest sale of the year I am sure you guys will also be as excited as I am. Do share if you have any more such tips in the comments section. Enjoy this Holiday Season and remember it is not only about shopping but also about spending quality time with your family. Disclaimer :- Some of the images used in this post are not owned by us. If this belongs to you and you want us to take it down let us know.